How do I search by negative votes? I want to find questions with votes between -4 until -1. I failed to search by "votes: -2"; it returns positive votes number. By using score:-2 you'll get posts with a score of -2 and higher, which explains why you also see positive scored posts. All the available search options are expalined in the Help Center under Searching and there is a cheat sheet at the right-hand side of the search result page. Not the answer you're looking for? 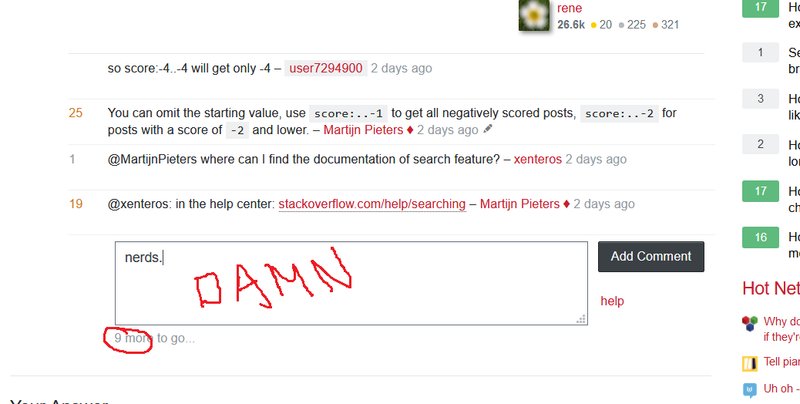 Browse other questions tagged support downvotes search . How can I filter questions by votes? Can we search for questions based on number of votes? Why is search automatically converted to tags? How to search for dollar sign or exclamation mark? Why store negative votes of people new to SO?